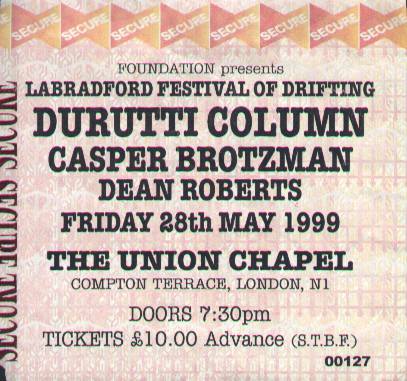 Ticket for Durutti Column at the Union Chapel. Note that Casper Brotzman did not play. 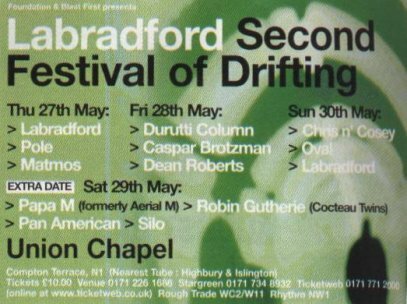 Labradford's second, ambitious, Festival of Drifting, was played out over 4 days in May 1999. The Union Chapel in Islington was the London venue but complementary programmes of events also took place in Sheffield and Edinburgh. 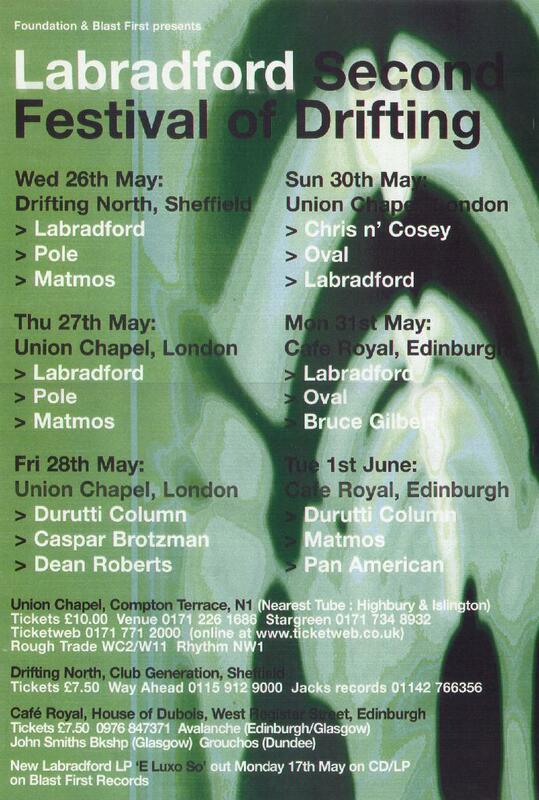 The Durutti Column played in Edinburgh on Tuesday 1st June and before that on Friday 28th May in London. The Union Chapel is an intimate venue - it is a working church - which was perfect for the occasion. The Durutti line-up on the night was Vini, Bruce and Keir. "Foundation and Blast First presents"